One of the new features of My Memories Suite v.7 is the ability to blur the edges of your photos. You can choose to blur one, two, three or all 4 edges and you can adjust the amount of blur. 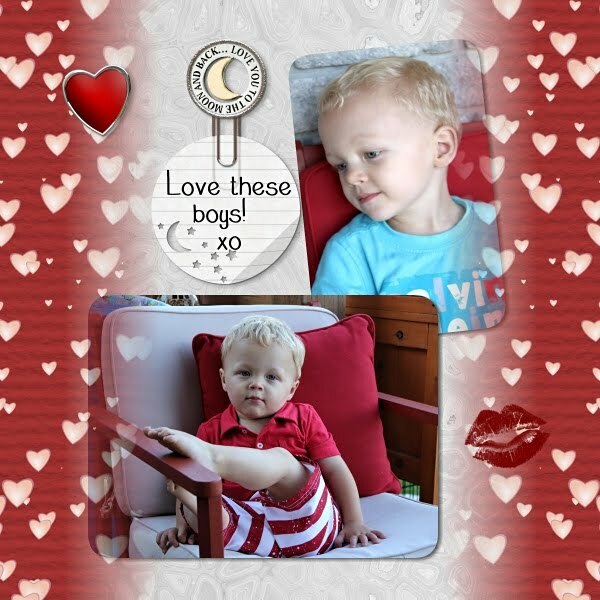 This neat feature can also be used on background papers brought into your layout as photos!. When you right click on any photo on your layout you will get this menu. 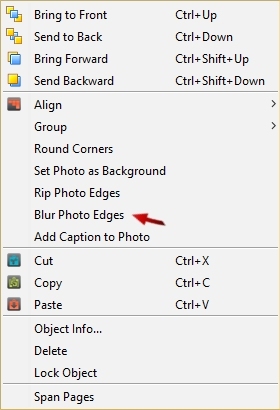 Click on 'Blur Photo Edges' and you will get these options. You have the choice of how many edges you want blurred and to what degree width of blur. (The default is 50 when you open it). Play with the width adjuster depending on your photo and how much you want blurred. 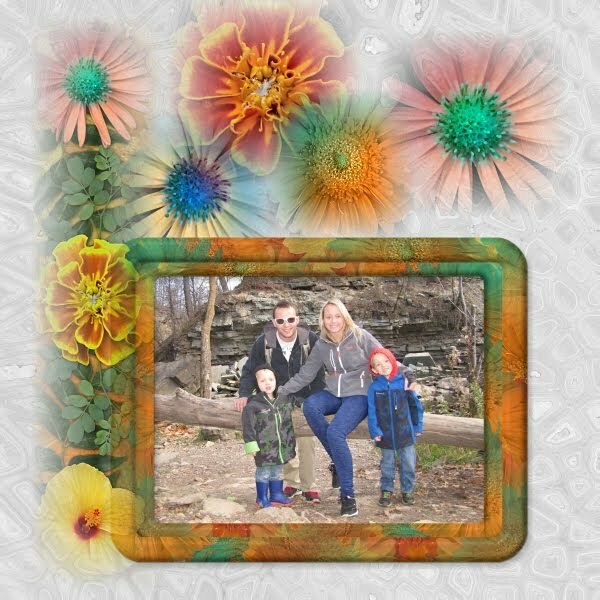 This is a really fun tool that has different effects all the time depending on the photo and the background you are using. 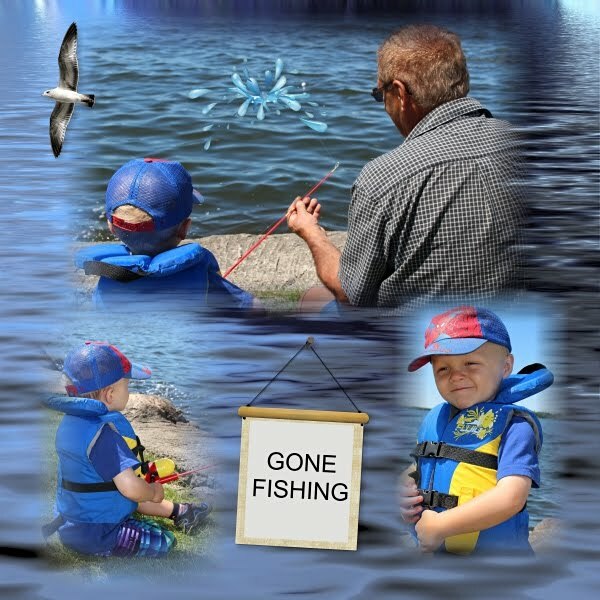 For the layout below I used a background of water and blurred the edges of the photos so it almost blends with the background. Test it out on your photo's, it's really fun to play with. The other great thing about this feature is it can be used on backgrounds when they are brought in under the 'Photo's' tab. This layout has a background of water. But I brought in another background paper (the sand) under the photo tab. Because you are bringing a background paper in as a photo, you will have to adjust the size to whatever you want. 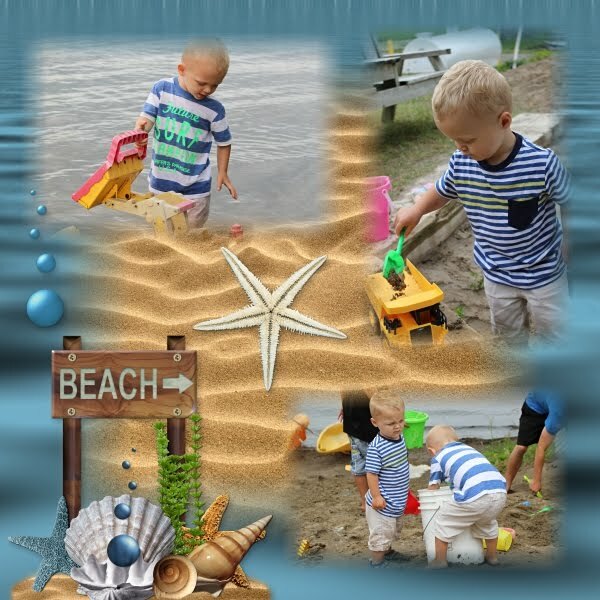 I then right clicked on the sand background and used the blur feature on all 4 sides. This gives an entirely different look to my background. I also blurred the edges of the photos in this layout. Now for the layout below I had a fairly plain ivory colored background. I then brought in a heart background as a photo. I adjusted the size of that background to be the height of the layout but then pushed it over to the left side and used the blur feature and blurred only the right edge. I then copied that background, put it on the right side and changed the blur to be on the left edge. I then put the photos behind those edges. I love it! So while I was playing around with this feature, I decided to try something a little different. I brought in some flower embellishments under the photo tab. Now since embellishments are not .jpg files like photos and background papers, you will get a pop up message like this. I clicked yes to continue and tested it out. I clicked on the embellishment and then 'Blur Photo Edges'. Basically it works! You have to adjust the blurred edges a little more with embellishments to take away the black fill it is doing because it thinks it's a photo. So it doesn't look good will all embellishments. But it worked with the flower border on the left and the single flowers. 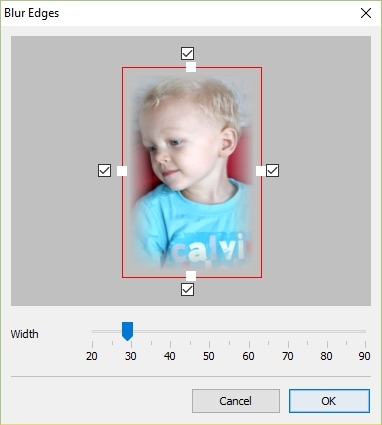 You would not be able to use this feature with embellishments like frames etc because it will not keep the centre of the frame transparent because it thinks it's a photo. But it gave these embellishments a dreamy look. I like it! So play around with the 'Blur Photo Edges' feature. Lots of possibilities with lots of different results. I hope you enjoyed this tip!